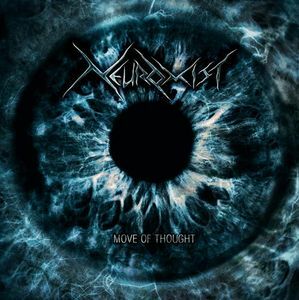 Moldovian band NEUROMIST was formed in the fall of 2004, with Mike Petriuk (guitar), Kirill Zmuciuk (guitar) and Serghei Petrenco (drums) as the founding members. With bands like Atheist, Meshuggah, Cynic and Dream Theater as some of their main influences, their aim was to help create a new wave of heavy technical music in their native Moldova. Laurent Lozan (vocals) and Andrey Parshutin (bass) soon hooked up, and in the spring of 2005 they had their live debut as openers for Austrian band Possession at a concert in Chisinau. I got in touch with the band and Kirill answered my questions. When and by whom was your band born ? Did any of you, past and present members, play in any other bands before joining up in your band ? Why did you choose that name and which bands were you influenced by ? Neuromist started out in 2004, when drummer Sergey Petrenco, guitarist Mike Petriuc and me have come together and agreed on trying our forces in a progressive death metal project, each of us already having the experience of playing in other metal bands. We were all largely influenced by such bands as Cynic, Dream Theater, Meshuggah, Atheist, Sadist, Necrophagist, Death and Spiral Architect to name a few, and wanted to do something similar to what these bands were doing but in our own view. So that's how it all started. As for the name, we were brainstorming for it for quite some time and our former vocalist, Laur Lozan, came up with the word Neuromist being a combination of “neural” and “mist”. Moldova is not the most well known country in Europe. How is life and the music scene in http://en.wikipedia.org/wiki/Moldova" rel="nofollow - now ? Well, Moldova has probably earned some attention because it is considered as the poorest country in Europe and objectively speaking it's true. Not that I don't like my country, I love it just as a person could love his family even if they aren't the best folks out there, you know. The metal scene here is tiny, with shows being organized only in the capital, Chisinau. Yet, metal music fans here are very devoted, being very welcoming when someone is playing live. As for musicians, we have plenty of solid bands here that play interesting music and try to stay afloat because it's really hard to play in a band and earn some decent money. Some people give up playing metal after their first attempts and disappointments yet the others become more rigid and strive to put out the best effort possible. So we have not so much mediocre bands – they simply don't survive here long enough. Over to your two releases. Your debut was the Age of Human Errors EP from 2006. Please tell us more about this EP. This EP was our first studio effort together and for some members (like me) it was the very first real recording. However, it's hard to call a decent recording when virtually all the instruments were recorded at Mike's flat line-in into the computer. Yet, the crappy sound quality and many small nuances were not that important because the demo served its purpose very well – it was actually a recording that we could share with other people. And it helped us get many things done, including a tour through Ukraine in 2006. You released your debut album Move Of Thought last year. Please tell us more about this album. This album represents a recollection of our musical evolution right since the founding of the band and to the point when we entered the studio in 2009. It's a rather eclectic piece of work from my personal point of view because some tracks were written earlier and had different influences and vibes if compared to those that were composed later. So there are different textures, vibes and ideas coming from each track. That's certainly a good thing if you ask me because I would like it if the entire album would sound the same. Still, I hope our next album won't take as much time as “Move of Thought”, since we started recording in spring 2009 and finished mixing in winter 2010. The process was interrupted several times so I can say we've put a lot of effort and nerves into this album. For those of us unfamiliar with your music; how would you describe you music ? It's always hard to describe something that you're very involved in, but I'll try. People who hear us for the first time usually say that there's a lot coming from older progressive death metal bands like Atheist, Cynic, Death, Pestilence and others. Yet, there's a lot of influences from different bands that are very distinct such Meshuggah or Kind Crimson. So I would describe it as extreme aggressive progressive metal, since our music doesn't sound very similar to newer tech/prog death metal bands people are into right now. What have you been up to since the release of that album and what is your plans for the immediate future ? After releasing the album we have faced some problems with lineup, since both our vocalist (Vladimir Ghillien) and drummer (Mike Grigorash) have chosen to leave the band because their wives were pregnant at the moment and they were unable to devote much time to the band. That left us with only two members in the band, me and bassist Alex Petriuc, so we started looking for other members to fill in the vacancies. Original drummer Sergey Petrenco has rejoined the band yet the vocalist's position is still vacant. We did a short tour through Poland and Czech Republic a couple of weeks ago with Presidents Of Noise (PL) and Mordotua (CZ), while a Bosnian vocalist Adrej Merkadic was filling in as our session frontman. Right now we are in the process of writing for the new record, with a couple of songs already finished and others being compiled, written and arranged. Hopefully this process won't take us too long and we will be able to start recording some time during the fall of 2012/winter 2013. Maybe we will hit the road until then if there will be an opportunity to do so, but we are more focused on the new record as it's our foremost priority right now. I would like to thank everyone who has taken the time to appreciate our debut album and tell us what they think. For a band that is quite new and a bit alienated from the European metal scene your feedback is very important. 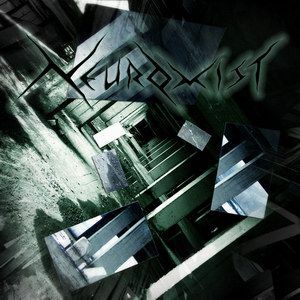 And if you haven't heard the album yet – feel free to download it from our official site (neuromist.net). It's completely free and we encourage you to share it with anyone who's interested in complex heavy music. Good to see an interview with this band here! Their full lenght is awesome! And I love that phrase from Kirill: "Not that I don't like my country, I love it just as a person could love his family even if they aren't the best folks out there, you know."